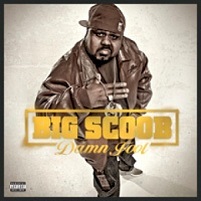 Fans everywhere know that Big Scoob really is a damn fool. From his comedic Twitter rants to his in your face attitude, Scoob is always outrageous and over the top. It’s no wonder that fans consider Scoob to be a bit of a comedian. We have decided to match up Scoob with some of comedy’s biggest fools and see how he measures up. We would like to know who you consider to be the biggest damn fool. Vote below for the biggest damn fool.